Mighty No. 9’s portable versions haven’t been cancelled, despite over year passing since we last heard anything about them. After a disappointing reception from fans as well as critics, for a while there it looked like the saga of Mighty No. 9 had ended. The only people interested in hearing more from developer Comcept were backers, many of whom have yet to get their physical rewards, and the few who still had hope for the portable versions on 3DS, and PS Vita. Both versions were promised after having their stretch goals cleared, but it’s been a long while since Comcept said a word about them. Well, it looks like the recent acquisition by Level-5 has kicked things back into gear, as the studio recently sent an update to backers to confirm that all hope is not lost. The update reiterated that portable versions are not in fact cancelled, and promised to release them this year. “The porting had to be put on hold for a while due to the other versions being delayed and the recent adjustment we had in Comcept,” said the update. “We estimate to ship everything out (with some reaching the backers) by mid-August 2017,” promised Comcept. 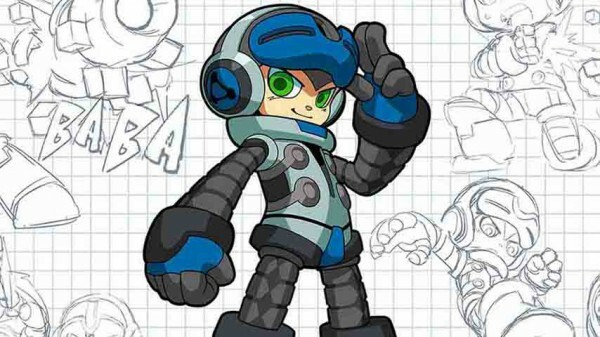 Mighty No.9 was released in June last year after suffering a number of delays. It was successfully Kickstarted all the way back in 2013, after having smashed all available stretch goals.